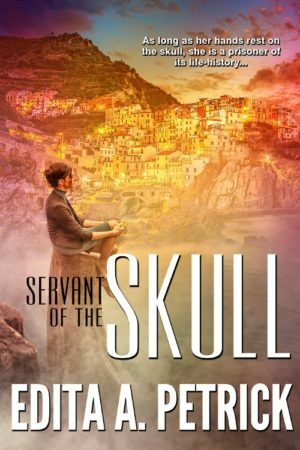 As forensic anthropologist, it’s Gianna Pontiac’s job to handle ancient bones. What makes her job of reconstructing the likeness easier is the fact that at a mere touch of the bone, impressions of the skull’s owner start flashing behind her lids. Most of the time person’s last living moments are peaceful but then there are skulls that belong to victims of unspeakable crimes. And upon a slightest brush of her fingers across the bone, Gianna re-lives everything the victim felt in his last living moments. She goes to Greece to reconstruct three skulls of victims of a plane crash. But someone does not want the victims’ identity confirmed and will stop at nothing to preserve a centuries old secret.